War is hell, so try to look your best. Tripwire Interactive released a new trailer for Rising Storm 2: Vietnam showing all the different customization options for your troops on the ground. They also announced a closed beta coming in December. 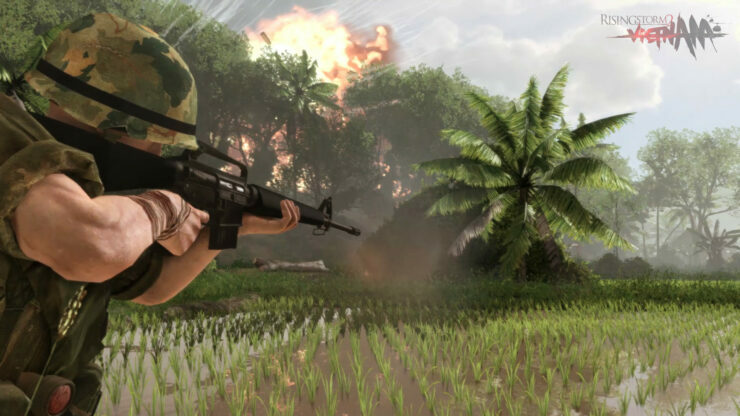 Rising Storm 2 is a first-person shooter set during the Vietnam War being developed by Antimatter games. You play as either the United States Military and Vietnamese resistance. The trailer shows that we have an awful lot of options on how you want to your soldier to look like. Each side has their set of headgear and uniform options along with a ton of facial hair features to choose from, with even more unlocks available as you climb the ranks. Don’t expect to see any clown suits or anything weird. All the cosmetics options are sticking to the authenticity of the era. Rising Storm 2: Vietnam will have 64 player large scale battles where players can call down Artillery or Napalm strikes. Fans of World War II shooter Rising Storm will be familiar with Antimatter Games’ work. The sequel looks like it’s going to keep most of the gameplay mechanics that made the previous game so unique; for example, combat skews closer to simulation than arcade gun fights. You won’t be running and gunning. Winning will require planning and maybe a bit of luck when playing territory or skirmish. Since it is set in the Vietnam War, be wary of ambushes and booby-traps in Rising Storm 2: Vietnam’s jungle, rural, and urban battlefields. The trick will be to stick to your squad, with leaders able to issue orders to their men and gain bonuses for working together. Rising Storm 2: Vietnam is slated for release in early 2017 on PC. You can sign up for a chance to enter the closed beta, which is set to begin in December, right here.